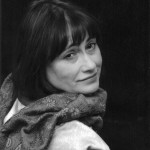 Tracey Eccleston (owner and manager) has been a member of the troupe for over 15 years. She credits her improvisation skills to having been given the opportunity to work alongside so many talented people. Her stage credits are long and many, but her favourites include working with FlushInk Productions, Asphalt Jungle Shorts, and performing in 10×2 at Elmira Theatre Co.
Bernie Roehl has been a member of the troupe almost since it began. He has a background in improvisational theatre, and is the former artistic director of Theatre on the Edge. He has also played numerous kings, including King Bertram in the Royal Medieval Faire and King Ludwig for KW Oktoberfest. 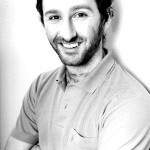 He also teaches acting and improvisation classes as well as corporate creativity seminars. He has played literally dozens of different characters over the years, and has written many of our scripts. Tracy Grieves has been doing Murder Mystery Dinner Theatre and Improvisational Comedy since God was a guppy. She has also appeared on stage throughout Southern Ontario. 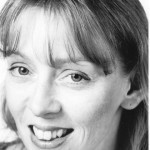 Tracy has written for many performance venues including stage, film and radio. She is also a published writer. Roger Sumner has dabbled intensively with acting and improvisation for a little over twenty years, and he thinks he’s beginning to get the hang of it. You may have seen him playing downtown Kitchener in Asphalt Jungle Shorts, both the Living Earth and Unhinged festivals, She Speaks and the WARMER Project. He also just sort of turns up a lot. A dedicated dilettante and unrepentant niobium addict, Roger enjoys playing with words, obsolete weapons, improvised musical instruments and gravity. 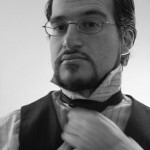 Kevin Magri has a background in improvisational theatre, having performed with Theatre on the Edge for a number of years. 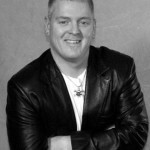 He has also performed and directed for other local theatre groups including Galt Little Theatre, Poor Tom Productions, Kitchener-Waterloo Little Theatre and the annual Royal Medieval Faire in Waterloo. He has a background in Shakespeare and Elizabethan theatre, and he specializes in playing outlandish and often villanous characters. Lindsey Quinn has been performing with the Mysterious Players for over 15 years, and has played everything from a french maid to a greek goddess. She enjoys the variety that the different roles bring her, and sees each new character as an opportunity to stretch her acting muscles. 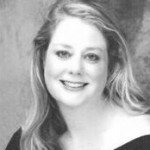 Denise Gismondi has performed extensively in the Waterloo-Wellington region. Her favourite shows include “Nurse Jane Goes to Hawii” (Act One Theatre Company), “Four Plays for Coarse Actors”, and “I Hate Hamlet”. 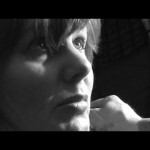 Denise also enjoys writing, directing and singing, and is a Second City improv student. As her husband says, “she lives for this stuff!”. 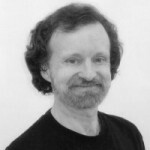 Cameron Wood has been performing with the troupe since his father founded it in 1986. He holds the dubious distinction of ‘retired’ president of the company, which can be frightening among a bunch of murdering scoundrels. Apart from doing dinner theatre, Cameron has performed stand-up comedy across Ontario, Florida, Michigan and New York – sometimes even for money. Aside from a multitude of roles over the years, he has also written a number of our scripts. 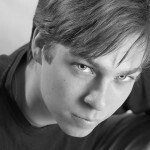 Ryan M. Sero is a professional actor presently living in Hamilton, Ontario. Past roles include John Barrymore in I Hate Hamlet, Danny Bell in NZR, Mephistophiles in Doctor Faustus, Paul in Tobacco Troubadour and Herbert Q. Milk in A Modicum of Freedom, which he also wrote. 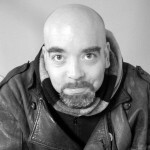 He has worked with numerous Hamilton and Toronto-based theatre companies, most recently with Artword Theatre in Hamilton. With his friend, Aaron Craig, he has just started make.art.theatre and waits with baited breath to see how that turns out. Sometimes he is worried about the transient nature of reality, but that never lasts. He is afraid conspiracy nuts are out to get him. Finally, he lives with his wife, Jody, which is a nice arrangement if you’re going to be married. 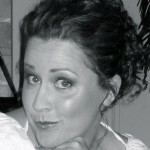 Corina Dunn is a home schooling mom of three and enjoys rock climbing with her husband, Steve. She received an Honours B.A. in drama from the University of Guelph in 19-something-or-other, and has had the pleasure of working with several theatre and film companies, both in the amateur and professional arenas. She spent 4 years as Artistic Director of The King’s Players, a local drama ministry, and has taught drama to children and adults. She hates writing Bios. Michelle LaHaise and her father run their family business together and when she’s not doing that, she can be found performing on a stage somewhere in Southern Ontario. Among film and television work, she has also performed at Canada’s Wonderland as a ghoulish zombie in their Annual Halloween Haunt Event. Her favourite theatrical shows include “Animal Farm”, “Death of a Salesman” and “Looking”. 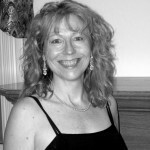 Michelle credits her first taste of Mystery Dinner Theatre to her late, good friend and writer, Elaine Shirley, who cast her as “Crystal Glass” in “Murder on the Side”, which performed at the Hamilton Art Gallery. Her other loves include Rugby, Karaoke and writing sketch comedy. 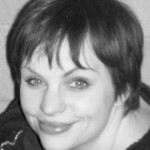 Carrie McNab is an active member of Kitchener-Waterloo Little Theatre and TenBareToes. She is very excited to be in the cast of Mysterious Players and is excited to learn improv from the best. When not on stage, Carrie enjoys technology, accounting, and rescuing animals. Michael Masurkevitch had worked at his office for two years before realizing that this was not the pirate’s life for him. After much soul searching and eating of fruits and vegetables, an epiphany struck him in the night: he wanted to act. Mysterious Players is always something new, always a new audience to explore, and keeps him on his toes! Michael absolutely loves talking to the dinner guests in silly costumes and characters, and is thrilled to be one of the elusive Mysterious players.